Here’s what you need to know about the electric vehicle revolution. After driving two different electric cars — a Nissan Leaf and Mitsubishi Outlander — over the past fortnight and considering what I want from a car, I’ve decided the next one I buy will be electric. Crunching the numbers, looking at New Zealand’s power generation capabilities and weighing up where the market is heading leads me to think they will be the future. Why choose a car powered by an electric motor and “fuelled” by a battery instead of a conventional petrol car? They have no “tailpipe” emissions — most of their fuel comes from low-carbon hydro, wind and geothermal generation. The ones I trialled have also been loads of fun to drive. There are reasons why an electric vehicle (EV) might not be right for you: your choice is limited and the available models command a price premium over similar petrol-powered cars; you’d be taking a leap into unfamiliar technology; and there’s the “range anxiety” — what happens when the battery runs out? Even if you aren’t ready to jump into an EV yet, the argument for them will only get more convincing. Batteries are getting substantially cheaper, their ranges are increasing dramatically, and our public charging network is steadily growing. Combined, this makes a compelling case for you to ditch your fossil-fuelled car. And sooner than you probably think. Battery electric vehicles (BEVs) have no petrol engine. “Fuel” is added to a battery via a plug-in charger, and delivered to the wheels by electric motors. There’s no gearbox — the electric motor connects directly to the wheels. That’s because, unlike a petrol engine, an electric motor can power the wheels efficiently across a range of speeds. Because there’s no explosive combustion in an electric motor, an EV doesn’t need a cooling system or an exhaust for spitting out waste gases and particulates. This makes a BEV about 4 times more efficient than the equivalent petrol vehicle. 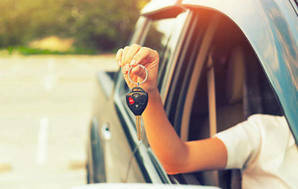 No more than 18% of the energy in the fuel tank ends up powering the wheels of a petrol car (the rest is lost as heat). In an EV, about 70% of the electrical energy in the battery powers the wheels. The batteries in a BEV can’t hold as much energy as a petrol tank. That means, despite having much better efficiency, a BEV can’t travel as far on a full “tank”. The Nissan Leaf can travel 135km on a charge. The Nissan Leaf, for example, can travel 135km on a charge (according to US Environmental Protection Agency testing). The 55L petrol tank of a similarly sized Toyota Corolla would transport you more than 700km. The Corolla can also stop at one of hundreds service stations to refuel and be back on the road in less than 10 minutes. Refuelling the Leaf isn’t as simple. While it can be recharged from a household power point, it takes 10 hours from empty — that’s about 13km an hour. That’s fine if you’re charging at home overnight, but a quick “charge and dash” won’t get you far. A faster option is DC charging. These “fast chargers” are popping up all over New Zealand. A full charge for the Leaf takes less than half an hour. The fear of being stranded with no fuel is “range anxiety”. While this also applies to petrol cars, the considerably shorter range of EVs and scarcity of fast-chargers make this a much greater concern for EV drivers. Or is it? How much is “range anxiety” justified? We tested the realities by driving a Nissan Leaf all over Auckland for two days. Plug-in Hybrid Electric Vehicles (PHEVs) have an electric motor and a conventional petrol engine. The car uses its electric motor for up to about 40km, with the petrol engine kicking in to extend its range to that of a conventional car. The battery is charged by plugging in or by its petrol engine. There’s no range anxiety with a PHEV — if the battery runs out, the petrol keeps you moving. And you can attach a tow bar, unlike most BEVs. A PHEV could be the best of both worlds: the low-cost running and eco-goodness of a short-range EV with the long-distance capabilities of a conventional car. The downside is complexity. They carry two engines and two fuel systems, which means there’s much more that can potentially go wrong. This also makes them heavy, with compromised luggage space (to fit the batteries). We trialled the most common PHEV in New Zealand, the Mitsubishi Outlander, over a week to see how it worked as typical family car. New EV technology comes at a premium. Unlike the US, UK and Norway, there are no government subsidies to help purchase an EV. An EV will cost more than an equivalent petrol-engine car. The price gap is closer for used BEVs than new BEV models, but even after accounting for running cost savings, you are unlikely to cite favourable economics as the main reason for buying electric. The prices of PHEVs are higher still, as they have the added complexity and cost of motor and battery. At time of writing, a new Mitsubishi Outlander PHEV commands a 20% premium on the price of the petrol model. However, that is set to change. As the global market for BEVs increases and battery technology matures, economies of scale and competition mean choices will improve and prices will reduce in our market. Sooner than you might think, choosing a suitable EV will be easy. When it comes to running costs, how does electricity stack up compared to petrol? The Energy Efficiency and Conservation Authority (EECA) calculates charging an EV equates to paying about 30¢ per litre for petrol — approximately 6 or 7 times less than the cost of petrol. But that’s just the start. Charging overnight when electricity prices are lower and topping up the charge while parked at work would reduce this well below the 30¢ per litre equivalent. At the other end of the scale, using a DC fast charger isn’t a cheap way to power your EV. A full charge for a Nissan Leaf at a charge.net.nz charger costs about $13.50. That’s a similar cost per kilometre to fuelling that Toyota Corolla. With no fluids to change and no wear or heat from a combustion engine, servicing a BEV is much cheaper than the equivalent petrol car. Nissan recommends rotating the tyres every 12,000km and checking brakes, suspension and steering every 24,000km. The electric drive system is warrantied for five years or 96,000km. Potential EV owners might have concerns about battery life and replacement costs. Nissan offers an eight-year, 160,000km warranty for its battery, which includes a capacity-loss guarantee. Essentially, if the battery degrades below 75% of its original capacity in that time, the carmaker will replace it. In 2014, an EV battery cost US$300 per kilowatt-hour, and Nissan sold replacement Leaf battery packs for US$5500. By the time you need a battery in your EV, it’ll be cheaper than that. By next year, battery costs are expected to have fallen to US$200 per kilowatt-hour, and they are expected to drop to US$150 per kilowatt-hour in the next five years. If a new battery is the only cost you have to maintain the drive in your EV, it’s not bad when you compare it to the cost of servicing and repair for an eight-year-old combustion engine and gearbox that’s covered 160,000km. The big win for an EV is zero local emissions — an EV has no tailpipe. But the fuel needs to come from somewhere. Don’t EVs just move pollution from the tailpipe to the power station? That might be true in countries where coal generates most of the grid electricity. But in New Zealand, 80% of our generation is from low-carbon sources: hydro, wind and geothermal. This year, Concept Consulting published a report on the impact of EV uptake on emissions in New Zealand. It concluded the reduction in tailpipe emissions will more than offset any increase in emissions from power generation. In the medium term, EV power demand will be met by new low-emission power stations, mainly wind and geothermal. Last year, EECA commissioned a Life Cycle Analysis using International Standards Organisation (ISO) methodology, which assessed environmental impacts of EVs through manufacture, use and disposal. It concluded “electric vehicles (EVs) are better for the environment than petrol- or diesel-powered vehicles, across the lifecycle of the vehicle as well as in use”. The environmental bottom line is clear. EVs are good for the local environment with zero tailpipe emissions (and zero noise pollution). Over the life of the vehicle from raw material extraction, through manufacture, use and disposal (or recycling), an EV is better for the environment than a petrol-powered car. New Zealand is ideally placed to maximise these eco-benefits — EVs will reduce our transport emissions, while maintaining our low-carbon, highly renewable electricity grid generation. A large proportion of the roughly $2/l petrol price is Government taxes, including those that pay for our roads, which electric vehicles use as well. In future, EVs will pay some kind of road user charge that will narrow the gap considerably. Furthermore, the 30c/l equivalent does not include the $6000 cost of a replacement battery every 8 to 10 years. Include that plus the RUC and the fuel cost will be comparable (which is logical based on energy economics, as our electricity cost is based on the marginal cost of additional peak generation which is often hydrocarbon-based generation, particularly in winter). Furthermore, even the misleading 30c/l equivalent cost is only true for home-based slow charging - a fast-charge at a station costs around $10 which is almost identical to the fuel cost for the same distance of travel (120km) for a modern fuel-efficient hydrocarbon-fueled vehicle (including the RUC in the case of diesels). I'd just point out that, it's not fair to include the cost of a new battery every 8-10 years in the EV fuel cost, unless you also include the cost of maintaining and repairing an internal combustion engine and transmission over 8-10 years in the petrol cost. Do that and the real cost of driving starts to get rather large. The motor and transmission of an EV is very unlikely to need any repair in that time (as they use incredibly reliable electric motors with one moving part - and have with no transmission). The older Leafs are now approaching 6-7 years old, and few (globally) have needed a full battery replacement. Batteries don't usually fail completely as they age - they lose capacity. So an 8-10 year old one may only have 70% or so of its capacity remaining. That would be a problem in a car that only covered 110km when new and fully charged, but in an EV with a range over 300km, that reduction still leaves a very usable car. As battery technology improves, this will only get better. I agree about the RUCs for EVs. At some point the government will need to create a way for road users to pay for the roads. Right now, and through to 2021, EVs are exempt as a carrot to encourage people to switch to them. In a few years when they become a significant proportion of vehicles on the roads, they will somehow pay their way I'm sure. But by then, perhaps petrol cars will be hit with an additional 'pollution tax' to signify the damage they do - not just to the roads? I also agree about the fast charging costing significantly more. However, experience from here and overseas shows the vast majority of EV charging is done overnight at home, where the 30c/l figure is realistic. We are now seeing electricity tariffs offering discounted overnight electricity to EV owners in response to that. EV charging in NZ is predicted to have very little impact on peak generation requirements, so it's unlikely it will adversely affect electricity costs. When will the Accomodation Industry Catch Up? Good luck to you if you want to book accommodation with EV charging available. The only suggestion I had from booking.com was to try emailing each and every hotel/motel- then there is the Wellington hotel that advertises EV charging, but appear not to have told their staff where it is, so they did not accept a booking. Why no mention of the Toyota Prius or Camry hybrids? ..or did I miss it in my brief skimming of the article? I'd be very interested in a comparison over say, a 300 Km round trip. With those hybrids of course the range is effectively limitless, though your fossil burn is still significant. re: Why no mention of the Toyota Prius or Camry hybrids? We left out the Toyota hybrids because they don't plug in to charge - that's the accepted definition of of an electric car (BEV or PHEV). The hybrid part on the Prius and Camry is really there to reduce fuel consumption - there is no 'electric-only' mode and the battery would only be good for a couple of kilometres before it runs out. Toyota are now selling a new-used (Signature Class) plug-in Prius hybrid here that will cover 17-18km on battery alone (according to US EPA testing). Overseas they have the Prius Prime PHEV launching soon, capable of 35km electric-only travel. But there are no plans announced to bring that here. It probably won't be the future for Wellington.. These things are pretty much useless unless you have a powered garage. Look how many cars are parked on the street at night.. In many Wellington suburbs garages are a scarce commodity, and powered garages even more so. Therefore this generation of electric vehicles is unlikely to take off here. In the UK there are streets full of houses with no garages, although admittedly the houses are usually close to the road. I gather that EV drivers there usually put in out-door charging points that look like hose reels and have a longer reach (and for a while their govt paid for them, to encourage take-up - they are expensive). It shouldn't be rocket science to put plugs on some power poles. You're right though that swapping batteries is also a good option and is happening in the US, I think (they are on 120V so take much longer to charge their cars at home). Benefit of that is also that the batteries would never have to be fast-charged, so would have longer lives. I was pretty happy to realise that my garage had power when I bought my Leaf. great article and glad you make the points in favour so clearly. There should absolutely be government subsidies to at least kick-start the adoption of electric (not hybrid) cars here in NZ. I'm a little surprised you left out the plans to launch the (cheaper) Model 3 Tesla here in 2017 or '18. Having driven Teslas in the USA, I think they will have a dramatic and positive impact on the market here. They are amazing cars. We've owned our Leaf (2015 Gen 2 X) for 6 weeks and LOVE it. So far nobody has mentioned the time saving - plugging in at night takes about 10 seconds, no more trips to the petrol station, no more annoying supermarket petrol vouchers to keep track of. But be wary of the 'range' figures. Driving at night with the heater on, in this really cold weather, does consume more of the % charge remaining (probably a more reliable figure than km remaining). In NZ 80% of power is from renewable sources, plus electricity means not importing petrol. So less emissions and better balance of trade. Even if some of these power is from coal in some countries, you're still removing transport emissions from the equation. That means less emissions. End of story. I noted your use of the word "additional". There's about as vague as one can get with respect to actual quantity of emmissions. Potentially very misleading if "additional" is trivial at peak. In NZ, about 80% of our electricity is from low carbon generation. The problem is the peak load - that's when gas and coal are fired up to cope with cold winter evenings. The good news for EVs is that they don't contribute to that peak load - charged overnight they use space capacity in the hydro lakes and turbines. Even if we get so many EVs that we need more generation to cope, the type of load they add suits renewable sources. In NZ we have plenty of those consented and ready to implement, if and when demand requires them. Overseas it isn't as rosy, as many countries do rely on coal and oil. But the same idea holds - EVs encourage a shift to renewable generation, at least in new power plants consented and built. And ultimately, petrol and diesel will always come from oil, with electricity we have a better option. I also purchased a Nissan Leaf Gen 2 (2013) from Autolink as a Japanese Import (in Jan. this year) - and have no regrets. Its environmental credentials and its performance are all I need in a city car, and on full charge I have travelled to Hamilton (Te Rapa fast charge), and to top of Awhitu Peninsula. While the screen is in Japanese, an English manual is available, and photos of the screens can be translated electroncially. 1) Is the Nissan Leaf battery guarantee honoured in NZ? 2) While new Nissan Leafs may have been available in NZ till 2015, check out the date of manufacture of those "new cars". Were they not Gen 1 (2011) vehicles? 3) It might also be worth Consumer asking if Nissan NZ will service Nissan Leaf cars? I used the battery guarantee as an example of an EV manufacturer showing long-term confidence in the battery. As the Leaf would be an import here now, the guarantee would fall under the CGA - it would need to fulfill the expectations of a reasonable consumer. The overseas guarantee would act as good evidence should any claim need to be made. I haven't asked Nissan about servicing, but I know some dealers will service the Leaf. Locally in Wellington, the Nissan dealer Gazely used to sell the Leaf and now import them. It's a good point - it would pay to check that you can get your EV (of any flavour) locally serviced. of course, the EV part of the EV shouldn't need much servicing, and the rest (steering, suspension, brakes etc) is essentially just a normal car. The 30c per litre equivalent is a downright lie. Shame on you Consumer for not checking your facts. Quoting and attributing it to another source does not make it ok. I thought that's what consumer was about: the truth through testing. That oft quoted figure of 30c per litre equivalence is simply NOT true! WAY not true. Not true to the point of being a downright lie. Where on earth did the EECA they get their data?! The bottom line: for 30c/L to be the petrol equivalent, you'd need to be getting your electricity for 8c per kWh. Nissan Leaf uses 21kwh per 100km. A great source for these comparative and truthful figures can be found at Counties Power. I asked above "where does the EECA get their data? I really don't know. The only places in the world that approach 8c per KW hr for power is Louisiana in the USA st $8.50 and Bulgaria at $10. In some EU countries like Denmark & Germany it can be 4 times that. So come on Consumer get real. Do the number crunching yourselves and add a little truth not hype. EVs are a great thing. Truly great and are the future. Nonsense is not. To clarify the math... And the harm done here. Therefore 90c per litre is the equivalent fuel cost for the Leaf. Heres where it gets pretty clear as to the equivalent fuel costs for the various vehicles.. 90c per litre happens to be what I pay for diesel for my car and my van. The only substantial difference is that I pay RUC of $6.80 per 100km. This is the same road tax that plug in capable EVs currently have a 'holiday' from paying but at some stage the govt has indicated that they will need to pay. The salient point about the lie of the '30c per litre equivalence' is that the minister recently quoted this figure while justifying their stance on not increasing any subsidies to encourage EV uptake. They are saying this 30c 'low running cost' is partial incentive enough. So this lie/misinformation is NOT harmless. So about 1/3 the cost of petrol.....and if you use free, public chargers it's.....free. You make a good point about that 30c per litre equivalent, so I’ve investigated further. I agree that the EECA figure is rather generous, and we will be asking them to explain where it comes from. The US Environmental Protection Agency (EPA) publish MPGe (miles per gallon equivalent) for the Leaf. For urban driving this is 126 MPGe, for a combined cycle it’s 114 MPGe. Their figures for a new Toyota Corolla CVT are 29 mpg urban (that’s 8.1 l/100km) and 32 mpg combined (7.4 l/100km). The highway figure of 38 mpg (6.2 l/100km) is misleading, as that’s not where a Leaf would be used. I’m using the US EPA numbers as these are more realistic than published fuel economy figures from manufacturers, and enable an independent like for like comparison. The numbers give an EV to petrol ratio of 0.23 (urban) and 0.28 (combined). Using the current price of petrol of $1.75 (in Wellington, where I filled up this weekend), I get an equivalent EV cost of 40c per litre (urban) and 49c per litre (combined). More than the 30c claimed by EECA, but not too shabby. I checked this with a calculation based on getting 135km from the 24kWhr battery in the Leaf (more US EPA data) and an electricity cost of 26c per kWhr (gathered from Powerswitch data we use for all our running cost calculations). That gives me an equivalent cost of 57c per litre. If I use a power price of 21c per kWhr (based on a Mercury reduction of 20% for all power used between 11pm and 7am), the EV costs 46c per litre equivalent. Of course, we don’t know what assumptions EECA made to get 30c per litre – it could be a different petrol or electricity price, different EV efficiency or comparison to a less fuel efficient petrol car, or a combination of all of those. So finally, I swapped the Corolla for the estimated fuel economy of the 2014 NZ light vehicle fleet (published by the Ministry of Transport), of 9.6-9.7 l/100km. This reduces the EV cost to the equivalent of paying 38 cents for a litre of petrol. Still not the magical 30 cents, but getting close. I still need to verify my calculations, but when I have, I’ll update the offending paragraph of the article. Yes I agree re. manufacturers figures for consumption - not to be trusted. There is also the danger of quoting and using US fuel figures published as MPG. Clarity and care should be made in the calculation & display of the info whether a conversion to litres has been done with the US or the UK gallon conversion rate. A common mistake. I am keen to see the outcome or reply to the EECA question. 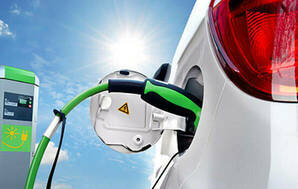 Remember to check that you can get an electric vehicle serviced within the range of the car. 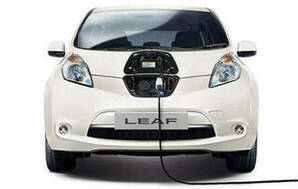 Most Nissan dealers cannot service the specialised electrics in a Leaf - I imagine other dealer networks will be similar. I have yet to hear of anyone actually requiring service for the electrics in the LEAF. Low maintenance all around is one of the key selling points. No oil. No gear box. No air filters. Less wear on the brakes due to engine regeneration.. I've been driving a NIssan LEAF for a hair under 2 months. Mine is a 2015 "Gen 2" Model S imported from Japan. I bought it from Autolink in Grey Lynn for $29,995 in Early June. They specialise in LEAFs and have a reputation to protect as the largest LEAF dealer in NZ. Like the reviewer, I'm very taken with my EV. It's better than a petrol car in most ways that matter to me: quiet, fast, no emissions and dirt cheap to run. At first I charged up every night and found that most days my battery never gets within a bull's roar of 50%, so I started charging every two or three days. If I get too low a 15 minute stop at one of the growing number of rapid chargers around Auckland sorts that out. I've experimented with range. There is a chain of fast chargers to the north of Auckland ends at Kawakawa (today). You can get to Kaitaia easily enough as long as you stay the night to charge up and head back to Kawakawa. To the south, the fast charger at WEL in Te Rapa (Hamilton) puts Tauranga *just* in reach, with its sole fast charger at Bayfair Mall. I've also driven to Thames and back, though the lack of a fast charger in Thames (almost ready at the Library, but not quite) more or less requires an overnight stay....which worked for me on that trip. I didn't want a PHEV as they still burn fossil fuels and we've already done more than enough of that. Would I go back to petrol? No. In fact, this LEAF has made such a strong case for going EV now that I have ordered a 2016 LEAF "Tekna" from the UK with the new 30kw battery pack and 210km range. Almost enough to get from Auckland to Tauranga on a single charge. It's $46,995 and on the road, but even at that price it's excellent value as I won't have to buy petrol or undergo expensive servicing of all the bits that wear out on the petrol car. Bottom line for me is that from Hamilton to Kawakawa an EV like the LEAF is both viable and desirable....and excellent value for money. Petrol is dead at my house. I commend you and you professionalism in replying to some of these inflammatory comments. When writers accuse others of lying, and use capital letters to "shout" at people (whether or not their points are valid), it must take a lot of effort to remain calm and objective. Your response was impartial, reasonable and a credit to Consumer NZ. And I certainly appreciated your review of what is certainly the way of the future - while I certainly will make the move, it is just not for me right now. We put a kWh meter on a dedicated twin plug for our Leaf. The Leaf had 27,484 km on the clock when we moved. This morning it shows 29,233 km and the kWh meter 346.2 = 5.05 km/kW. Genesis charges us 24.21 c/unit plus a bit more for 'daily fixed charge' so around 25.0 c/unit. I don't know if a Genesis unit is a kWh ? We love our Leaf. For Christchurch, it is a perfect second car; smooth, silent, powerful, roomy and very cheap to run - even when road tax is eventually added. Battery usage is seldom below 60% full. My only complaint is that the recharging cap opener is very badly placed considering it is used most days. Like other contributors, I would like to know more about who can service the car and what servicing the electrics are likely to need over time. Lithium battery disposal is also a concern, but hopefully will become more efficient as the number of EV's increases. It is a pity Nissan NZ don't get on board for imports and provide an NZ map chip. I can't imagine ever going back to an ICE. Roll on the day when our campervan (diesel) can be powered by electric. Range anxiety is never a problem for us as if we are going further afield it is always in our campervan, for a few days. Our Leaf is on the go every day - mostly short distances so it's a no-brainer.